Blizzard jokes, tweets, and one panda nobody should miss. 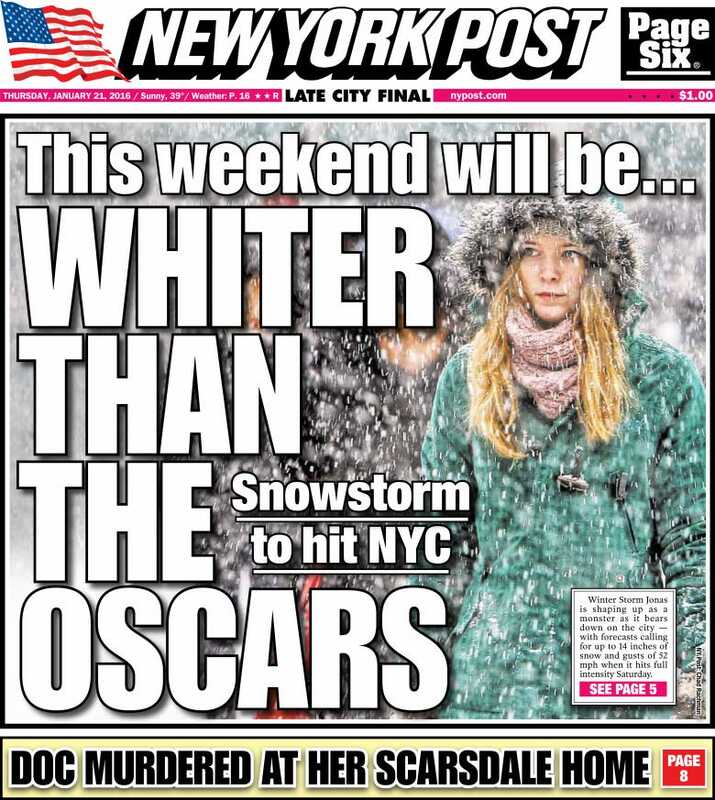 This weekend “Will be whiter than the Oscars,” The New York Post prophesied hours before Winter Storm Jonas dumped more than two feet of snow across 20 Eastern and Southern states. Faced with one of the biggest blizzards ever to hit New York City and Washington D.C., millions of afflicted citizens locked themselves indoors and responded to the storm with the gravity it deserved: by cracking jokes on Twitter. Here are some of our favorites. So… Winter storm JONAS is coming. This is awkward. I bought wine & a bag of avocados so I’m pretty sure I’m totally prepared for the blizzard. Store’s already sold out of water & batteries so I guess I’ll just stock up on sympathy cards & sole inserts. Glad the snow gives my parents and me something to talk about besides why I’m alone! I taped a Weather Channel logo on our living room window. It’s like having an extra TV. Good news: Prepared for the winter storm by buying plenty of food I ate last night while drunk.